A new £27m recycling plant for Aberdeen has been officially opened. Aberdeen City Council said the facility was "Scotland's most advanced". The plant, in the Altens area of the city, is capable of processing 20 tonnes of mixed recycling an hour. 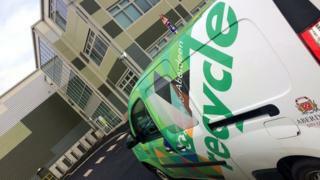 It is part of Aberdeen City Council's Zero Waste project, aimed at reducing the amount of waste that goes to landfill.